Muller, Jerry Z., 1995. 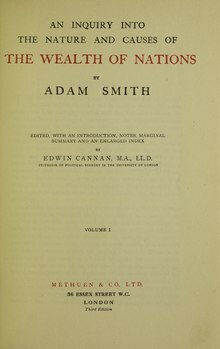 Adam Smith in his Time and Ours: Designing the Decent Society. Princeton Univ. Press. ------, 2002. The Mind and the Market: Capitalism in Western Thought. Anchor Books. 國富論在Library of Economics and Liberty. CERQUEIRA, H.. Adam Smith e seu contexto: o Iluminismo escocês. Economia e Sociedade, v. 26, p. 1-28, 2006.